Shortly after Egypt’s judiciary allowed the satirical puppet Abla Fahita to be charged with “violating public morality,” she has now drawn the ire of Parliament as well by referring to its members as “impaired.” Some lawmakers are pressing for her program to be taken off the air on the privately owned satellite channel CBC. Abla Fahita, whose name translates to Aunt Fajita, is a vain and often bawdy widow who first appeared on YouTube but became well-known as a guest on political satirist Bassem Youssef’s show before he was forced off the air in 2014. She made the jump to CBC last year and has a commanding social media presence, including more than 500,000 followers on Twitter. In the April 7 episode of her weekly show, Abla Fahita sang a song questioning the mental capacity of parliamentarians. 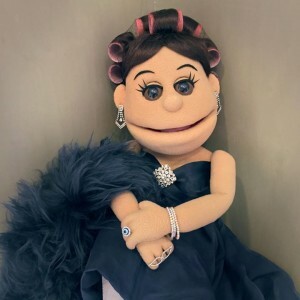 MP Elhami Ajina promptly submitted “an urgent motion to the government requesting that the program be halted and financial penalties imposed on Abla Fahita,” leading the puppet to specifically mock him on the following episode April 14. Shortly thereafter, the governing body devoted an entire day to discussing TV shows that “disparage members of parliament and go beyond freedom of expression,” in the words of Speaker Ali Abdul Aal. One member, Safwat Ghattas, was expelled from the chamber after he defended Abla Fahita and freedom of expression in general. Abla Fahita’s creator is anonymous, but many of her fans consider the puppet to be Youssef’s heir in the role of political gadfly and jester. Her show Live from the Duplex is filmed before an audience in the same theater as his, and airs in the same time slot on the same channel. Even before the parliamentary spat, the show’s producers had recently struck a deal with CBC to avoid direct criticism of President Abdel Fattah al-Sisi, in hopes that this would allow them to escape the same fate as Youssef’s al-Bernameg.